Beloved son of the late Norman and Claire Huffman. Loving husband of Leslie Jones (Little Woman). Cherished father of Brooke (Jeremy) Hauser. Pawpaw of Ava Jones, Cooper and Sterling Hauser. A dear brother of Vickie Abel, Terry Huffman, Kim Calvert, Michelle (Mark) Vickers, Kevin Huffman, Jennifer Huffman and the late Pam Smith. Mother-in-law, Sue Clasgens and brother and sister- in-laws of Holly (Joseph) Cline and Mike (Cyndi) Clasgens. A caring uncle to numerous nieces and nephews. 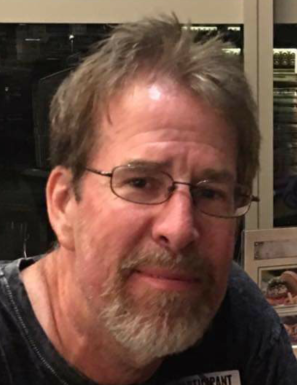 Ron was an avid motorcycle rider and apart of the “friendzzzs gang.” He passed away suddenly on Sunday, January 27, 2019 at the age of 59 years. Visitation will be held on Monday, February 4, 2019 from 5-8pm at Paul R. Young Funeral Home, 7345 Hamilton Ave., Mt. Healthy, Ohio 45231. Funeral Service will be held at 11am on Tuesday. February 5, 2019 at the funeral home. Followed by interment at Gate of Heaven Cemetery.